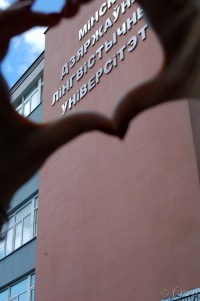 Minsk State Linguistic University is the leader in a Linguistic educational sphere in Minsk. The university professionally conducts the teaching process of 18 languages. In the future MSLU also plans to give the Finnish language education. There are 9 main faculties in the university (translation, information service, public relations, foreigner politics, foreigner economics, literature, computer science, communication technologies in business area and digital marketing). Also the university offers MBA, PHD in all scientific areas. Firstly MSLU offers translation, communication methods, information analysis and foreign language as graduate programs. Note: In case of departure from the country during the semester break in the Russian preparatory program, the entry and exit fees and the required health screening on return to the country are not included in the program services of the student.